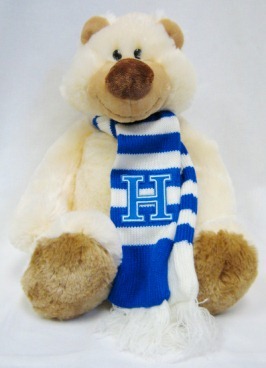 Very soft cream bear with royal blue and white scarf. Scarf has embroidered H and fringe. Overall size: 16"